Linda Crampton has an honors degree in biology. She finds the study of microorganisms and viruses fascinating. Bacteria are fascinating and abundant creatures that live in almost every habitat on Earth, including our bodies. Although some are harmful and others seem to have no influence on our lives, many bacteria are very useful. Researchers have recently discovered a soil bacterium that produces a previously unknown antibiotic. They've also discovered a new family of antibiotics made by soil organisms. These discoveries could be very significant. We desperately need new ways to fight bacterial infections in humans, since many of our present antibiotics are losing their effectiveness. Healthy soil is a rich source of bacteria. Research suggests that a significant number of these microbes might produce chemicals that could be used as human medicines. Scientists are eagerly investigating this largely untapped resource. In the United States, one organization has even enlisted the public's help in finding soil samples to analyze. 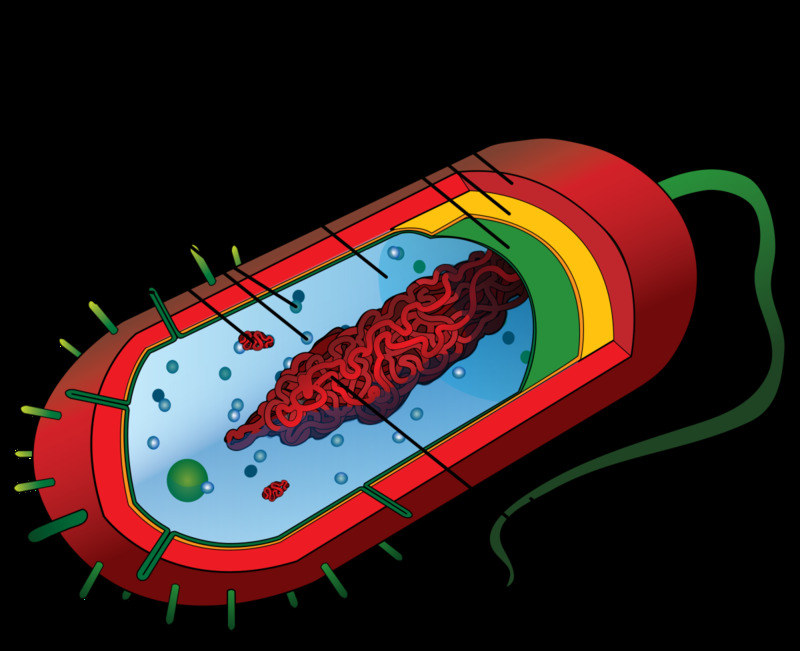 Bacteria are microscopic organisms. They are also unicellular, although they sometimes join together to form chains or clusters. Scientists are discovering that despite their apparent simplicity, the microbes are more complex than we realized. One of the most useful abilities of bacteria as far as humans are concerned is to make antibiotics. An antibiotic is a chemical made by certain bacteria (or fungi) that either kills other bacteria or inhibits their growth or reproduction. Doctors prescribe antibiotics to destroy harmful bacteria that are causing disease. The current antibiotics work by interfering with an aspect of bacterial biology that isn't part of human biology. This means that they hurt harmful bacteria but don't damage our cells. Some examples of their action include the following. Some antibiotics block the production of the cell wall in bacteria. Human cells don't have a cell wall, so they are unharmed by the chemicals. Others antibiotics stop structures called ribosomes from making proteins inside the bacterial cell. Humans have ribosomes, too. There are important differences between bacterial and human ribosomes, however. Ours aren't injured by the antibiotics. Still other antibiotics work by breaking up bacterial DNA (but not ours) as it's being copied. DNA is the genetic material in cells. It replicates before cell division so that each daughter cell can get a copy of the DNA. We need to repeatedly find new antibiotics because of a phenomenon known as antibiotic resistance. In this situation, an antibiotic that once killed a harmful bacterium no longer works. The microbe is said to have become resistant to the chemical. Antibiotic resistance develops due to genetic changes in bacteria. These changes are a natural part of a bacterium's life. 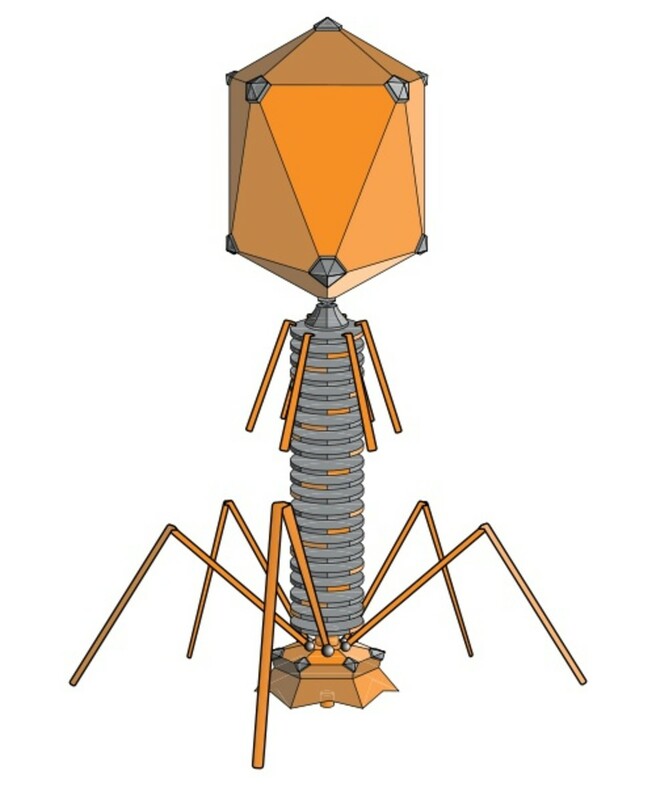 Transfer of genes from one individual to another, mutations (alterations in genes), and transfer of genes by viruses that infect bacteria give the microbes new characteristics. It also means that the members of a bacterial population are not completely identical genetically. When a bacterial population is attacked by an antibiotic, many of the bacteria may be killed. Some members of the population may survive because they have a gene (or genes) that enables them to resist the attack, however. When these resistant bacteria reproduce, some of their offspring will also have the helpful gene. 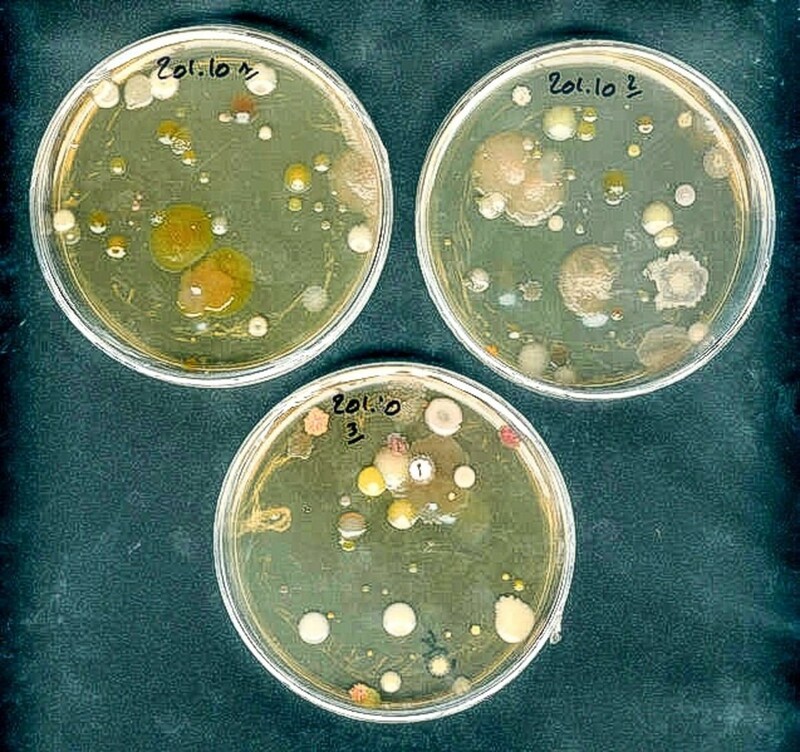 A large population of resistant organisms may eventually form. Antibiotic resistance is very worrying. 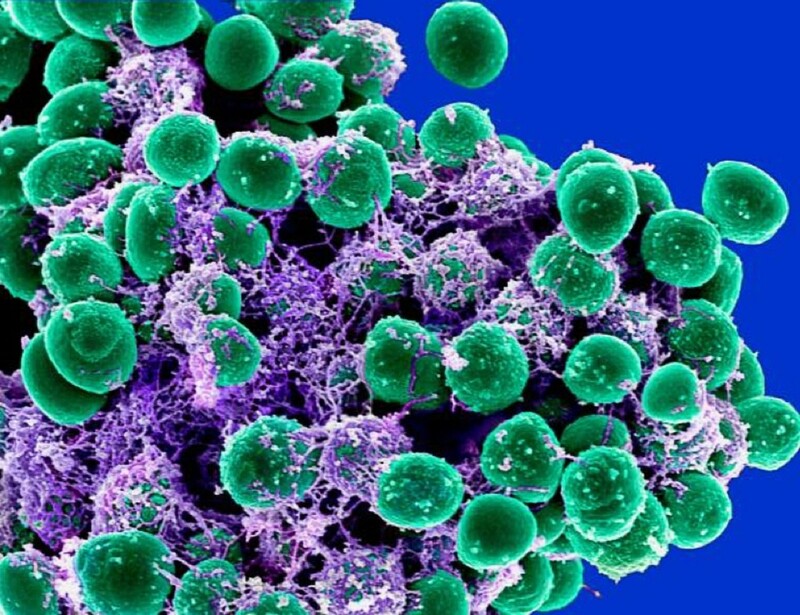 If we can't find new ways to kill bacteria, some infections may become untreatable. Some serious diseases have already become much harder to treat. The search for new antibiotics made by soil bacteria is therefore very important. Most of our present antibiotics originated from bacteria that live in the soil, which in most places is teeming with microscopic life. One teaspoon of healthy soil contains millions or even billions of bacteria. It's extremely difficult to grow these organisms in laboratory equipment, however, causing antibiotic discovery to be a slow process. Researchers at the Northeastern University in Boston, Massachusetts, have created a new method for growing captive bacteria in soil. The bacteria are housed in specially designed containers that are placed in the soil instead of in a laboratory. The researchers call their new container an iChip. 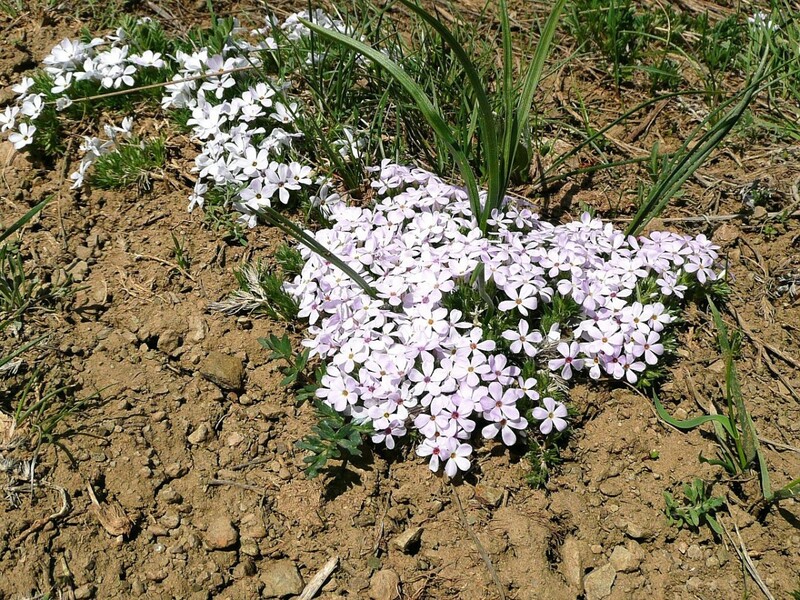 It allows nutrients and other chemicals in the soil to reach the bacteria. In 2015 the researchers reported the discovery of twenty-five new antibiotics made by soil bacteria after using their iChip. It's unlikely that all of these chemicals will be suitable medicines. An antibiotic needs to kill or inhibit specific bacteria or specific strains of the microbes. It also needs to be potent instead of only weakly antibacterial in order to be medically useful. One chemical discovered by the research team seems to fit these requirements, however, and looks very promising. It has been named teixobactin. Research and development of the chemical is continuing. In 2017, researchers at the University of Lincoln in the UK made a synthetic version of teixobactin in their lab. 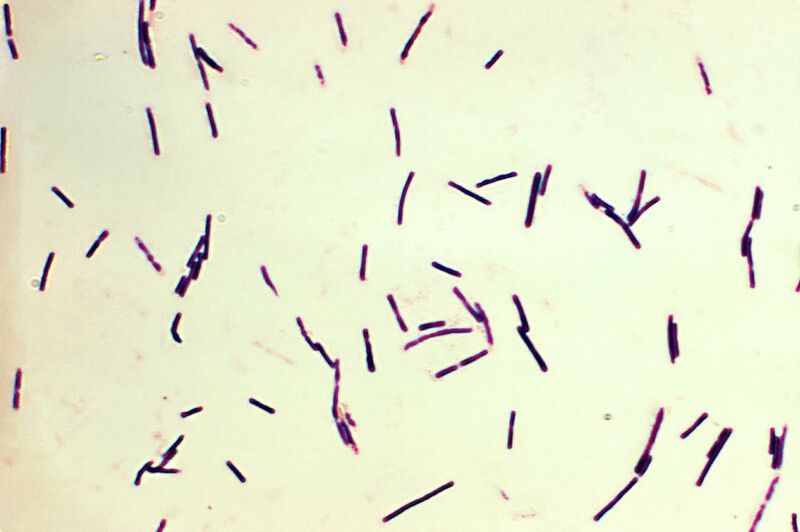 Teixobactin is made by a bacterium named Eleftheria terrae. In mice, it has been found to destroy a dangerous dose of the MRSA bacterium without harming the animals. In lab equipment, it has killed Mycobacterium tuberculosis, which causes TB or tuberculosis. It has also killed many other bacteria that cause disease. Teixobactin needs to be tested in humans to see if it has the same effects in us as it does in the lab, however. 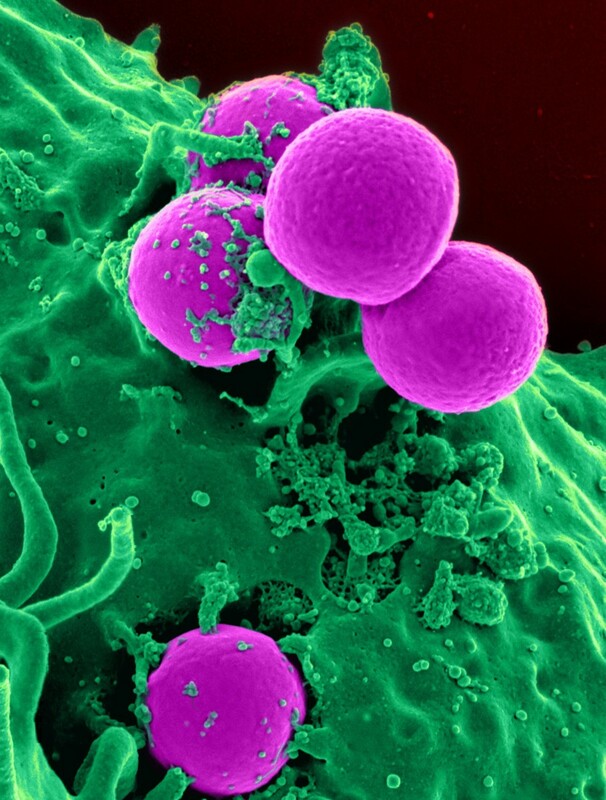 MRSA stands for methicillin-resistant Staphylococcus aureus. This bacterium produces a very problematic infection because it's resistant to many common antibiotics. The infection can still be treated, but the treatment is often difficult because the number of drugs that affects the bacterium is decreasing. Bacteria are classified into two major categories based on their reaction to a test known as gram staining. They are said to be either gram negative or gram positive, depending on the results of the staining process. Unfortunately, teixobactin affects only gram positive bacteria. We may discover antibiotics that can affect gram negative bacteria via the iChip technology, however. Teixobactin seems to act differently from other antibiotics. 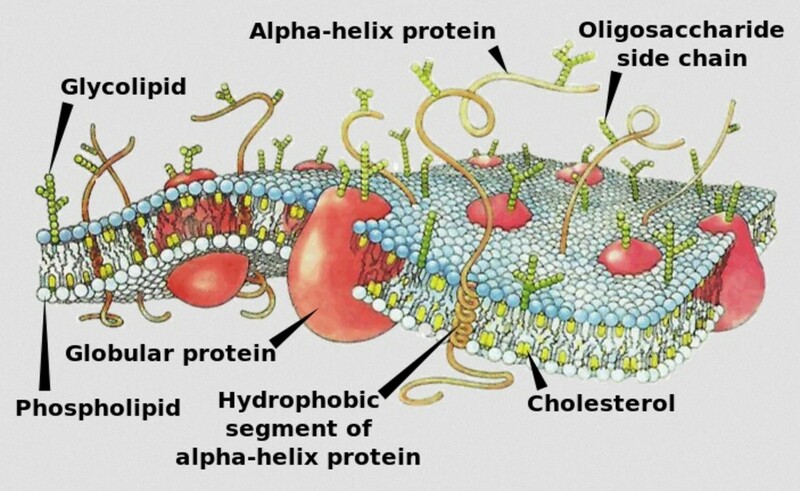 It affects lipids (fatty substances) in the cell wall of a bacterium. Most antibiotics do their job by interfering with proteins instead. The researchers believe that it will be hard for bacteria to develop resistance to teixobactin due to the chemical's mode of operation. Since the discovery of the chemical, researchers have been trying to understand the structure of a teixobactin molecule and to make synthetic derivatives. They've been successful in both of these goals. They are important goals because the drug needs to be produced in larger quantities than can be made in iChips. In addition, based on the knowledge that they've gained, scientists may be able to create improved versions of the drug in the lab. The discovery of teixobactin and the hints that soil bacteria produce other helpful chemicals has excited scientists. Some scientists have even called the discovery of the new antibiotic a "game changer". I very much hope that this is true. Finding new antibiotics is an urgent problem. The discovery of new bacteria in soil may help us solve this problem. It would be very time consuming and expensive for researchers to travel around the world to collect soil samples in the hope of finding useful bacterial chemicals, however. Sean Brady, a professor at Rockefeller University, has created a potential solution for this problem. His solution also offers people the wonderful opportunity to contribute to an important scientific endeavour, even if they're not scientists themselves. Brady has created the Drugs From Dirt website to help him with his quest for new bacteria. He's asking people to send him soil samples from every state in the United States. He's also extended his campaign to other countries. Individuals and groups can sign up for the soil collection process on the website. If they are chosen to collect soil, they will be emailed instructions regarding the collection process and the shipping method for the sample. They will also be sent a report describing what was found in the soil. Brady and his team are particularly interested in getting soil samples from unusual places, such as in caves and near hot springs. They are also hoping to work with science classes from schools as well as with individuals. Deoxyribonucleic acid, or DNA, is the chemical that makes up the genes of living things. It consists of a long, double stranded molecule that is coiled to make a helix. The strands of a DNA molecule are made of "building blocks" known as nucleotides. 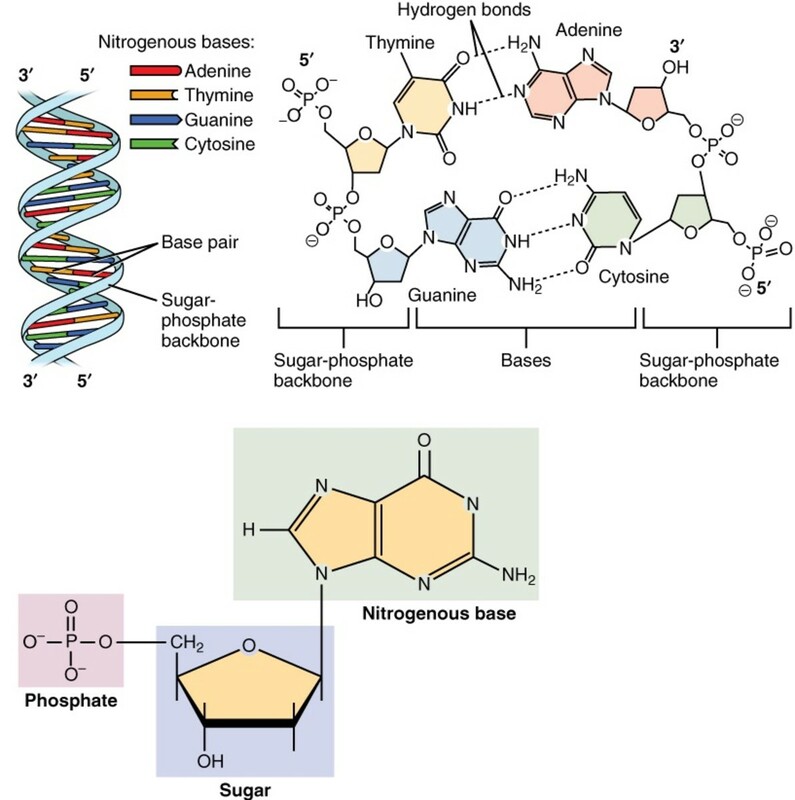 Each nucleotide contains a phosphate group, a sugar known as deoxyribose, and a nitrogenous base. 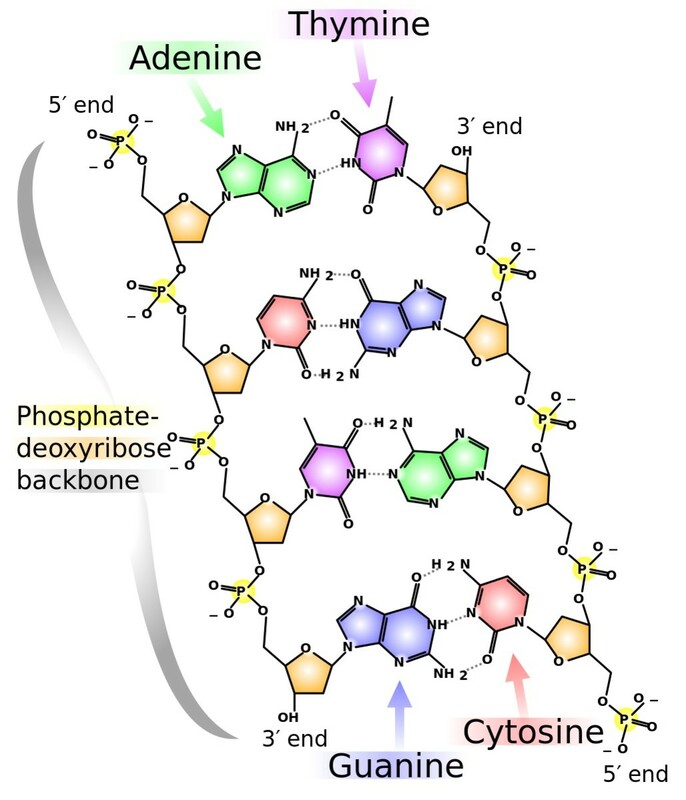 Four different bases are present in DNA—adenine, thymine, cytosine, and guanine. The order of the bases on one strand of the DNA molecule forms the genetic code, somewhat like the order of letters in a written language forms meaningful words and sentences. The DNA code controls the characteristics of an organism by directing the production of proteins. A gene is a segment of DNA that codes for one specific protein. Only the coding strand of the DNA molecule is "read" during protein synthesis. The other strand is known as the template strand. This strand is required during DNA replication, which takes place before a cell divides. The DNA of soil bacteria is present in their cells while they are alive and released into the soil when they die. The Drugs from Dirt scientists extract this DNA from the soil that they receive, replicate it, and then sequence it with the aid of a specialized lab instrument called a DNA sequencer. "Sequencing" DNA means determining the order of bases in the molecule. The researchers look for interesting and possibly significant base (or nucleotide) sequences in the DNA from soil. What often happens next in experiments like this is that the DNA is transplanted into lab bacteria. These bacteria often incorporate the transplanted DNA into their own DNA and carry out its instructions, sometimes making new and useful chemicals as a result. The Drugs From Dirt project has carried out some DNA transplants into bacteria using the genetic material that they've found. They've also created a digital database of the base sequences that they've discovered. Other scientists can access this database and use the information in their own research. In early 2018, Sean Brady reported that his team had discovered a new class of antibiotics from soil bacteria, which they've called malacidins. The antibiotics are effective against MRSA as well as some other dangerous gram positive bacteria. They require the presence of calcium to do their job. It will probably be some time before malacidins are available as a medicine. Like teixobactin, they need to be tested for effectiveness and safety in humans. The researchers don't know which soil bacteria make malacidins, but as Sean Brady says, they don't need to. They've discovered the sequence of genes needed to make the chemicals and can insert the relevant DNA into lab bacteria, which then make the malacidins. The search for bacteria in soil is proving to be exciting. The two techniques described in this article—creating captive bacterial cultures in soil and sequencing the DNA of soil bacteria—may become very important. We need to learn as much as we can about the bacteria living in soil. We also need to understand the development of antibiotic resistance in more detail. It would be a great shame if bacteria quickly become resistant to any new antibiotics that we discover. Time will tell whether soil bacteria live up to our expectations. The situation is certainly hopeful. 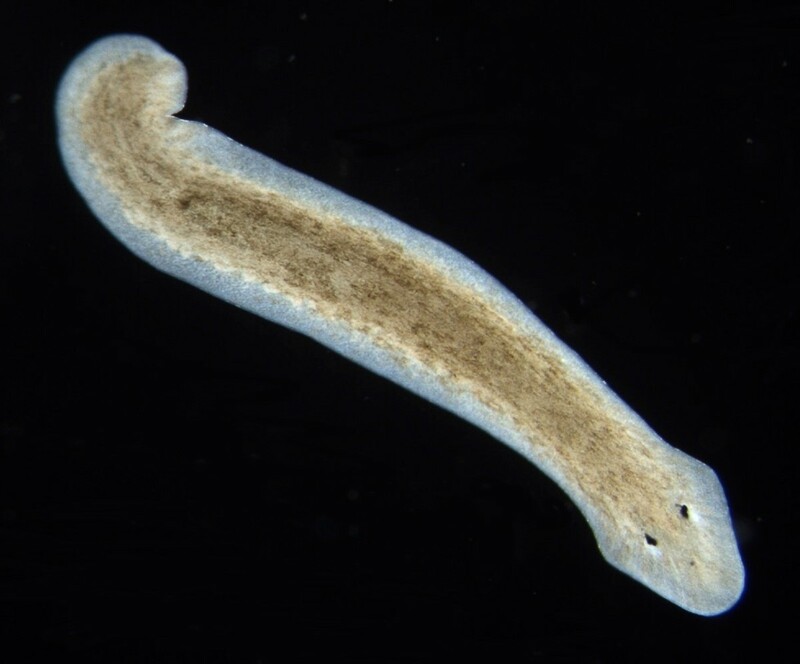 The organisms may play an important and even essential role in our future. MedlinePlus (a National Institutes of Health site) has a resource page about antibiotic resistance. The discovery of a new antibiotic made by soil bacteria is described at nature.com. The discovery of the molecular structure of teixobactin is described by the University of Lincoln in the UK. People can submit soil samples for analysis at the Drugs From Dirt website. The discovery of a new family of antibiotics (malacidins) is described by the Washington Post. Thank you very much, AVailuu. I appreciate your comment. It's nice to meet you! Awesome hub! I just published one that is very similar to yours, but yours is so well written and easy to understand. You did a great job of breaking down the information and making it more digestible to the general population. Voted up for excellence! Thank you very much, Linda. I think nature is fascinating, too! Thank you Alicia for the hard work on this interesting and fact filled hub. I think nature is so fascinating. Glad you shared the information on bacteria in soil and new antibiotics with us. Hi, Sam. Thank you for the comment. That's an interesting theory! Great article. There has always been a lot of truth when our parents told us getting a little dirty won't hurt. There is a theory that people that played in the dirt as kids have a stronger immune system than those that never did. Thank you very much for the comment and the share, susie10. I agree with you - the search for new antibiotics is definitely urgent! Wow, I never really knew that the bacteria in soil could be a new source of antibiotics. That truly is amazing. I think there is definitely a sense of urgency in the world to find a completely new strain of bacteria that could potentially become an antibiotic. Because if they don't, the international community will definitely have a serious issue at hand. But through soil, this could lead to the next antibiotic, which is very inspiring for the future. Hi, Deb. Thanks for the interesting comment. The idea that children need to be exposed to bacteria in the natural environment in order to be healthy is certainly thought provoking! There's some research that supports the idea, too. 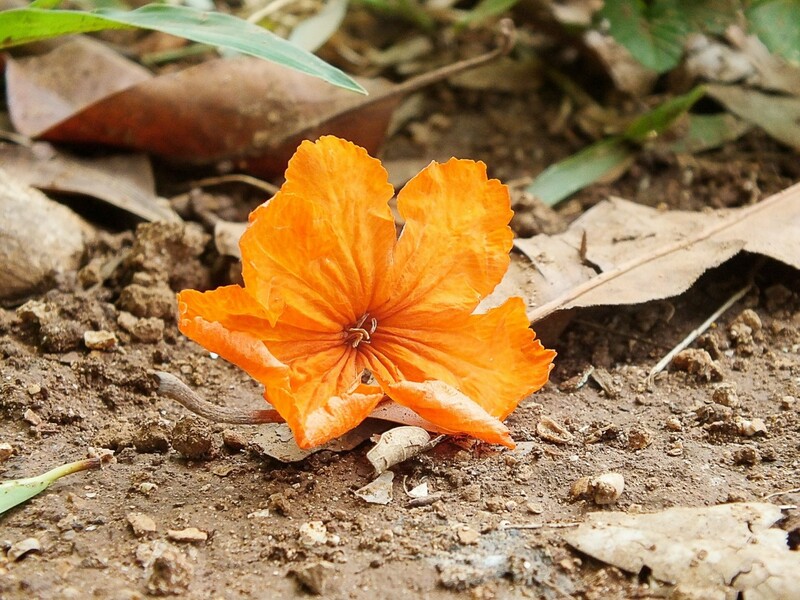 As kids, we played in the soil, as well as the mud. This was beneficial and healthy, as most of us we very healthy as a result of getting this natural bacteria in and on our skin. Hi, RoadMonkey. I agree! We badly need new antibiotics, and the bacteria in soil could provide them. Thanks for the visit. Good place to look for more help on novel antibiotics. We definitely need them! Thanks for the comment and the votes, Heidi! I'm happy that new discoveries are being made, too. Thank you so much, Mel. I appreciate your comment a great deal! Super interesting! So glad to hear about these new advances that are, surprisingly, all around us. Voted up, useful and interesting! As always, a fantastically researched and informative hub. This offers great hope for medicine at a time when many diseases are on the rebound due to vaccine dissenters and antibiotic resistance. Great job! Thank you very much, Karine! The research is definitely promising. I hope it leads to some useful discoveries. Very well researched hub and interesting information! Promising research for sure. Hi, vespawoolf. Thanks for commenting. I hope the research pays off. We need to solve the antibiotic problem somehow! I also have great hope for this research. I found this article very interesting. I didn´t realize scientists were studying the bacterial and antibiotics found in soil. I know there are probiotics made from soil, too, which can be very beneficial when taken for the digestive tract. Thank you for sharing! Thank you very much, Rota! Thank you very much for the comment, the vote and the shares, ChitrangadaSharan. It's definitely scary that some infections are taking so long to cure. We are heading towards a very serious situation with respect to curing disease unless we can find new treatments. Hi, Hendrika. Overuse of antibiotics has become a serious problem. It's scary to hear that an antibiotic had no effect on your friend's infection. I hope that he or she is prescribed a new medicine that works! Excellent hub with lots of information! I am glad you wrote about antibiotic resistance. This is something, I have been hearing a lot. Many patients are getting affected by this issue and months and months have passed and their infection etc. could not be cured by a particular antibiotic or several others. There is a need to discover new antibiotics and the soil bacteria is a very appropriate source to this. Thanks for sharing the information, voted up, shared on HP and pinned! Very interesting. I think we have to try to make sure that once these antibiotics are available not to over use them again and cause the same to happen again. These super bugs are really becoming a big problem. On of my friends were prescribed and antibiotic for an infects last week and it had no effect at all and the infection is still there! Hi, Mark. Thank you very much for the comment. Bacteria can definitely be helpful for us. Many of the ones in our small intestine, like the Lactobacillus that you mention, are especially beneficial. I hope lots of bacteria in the soil prove useful as well! I understand a lot of things on your hub. Thanks. Bacteria is sometimes helpful. I remember the good bacteria called lacto bacillus that is present in our stomach. So, I guess, there is a big part in all of these soil bacteria. Hi, Audrey. Thanks for commenting. I agree - the news is very exciting! Hi, Don. Thank you for sharing your story. I've heard of the interesting theory that you describe before. I think there might be something to it! This is fascinating and very exciting ! I'm a retired EE and I appreciated reading your article. Very interesting. Let me tell you a little story. When I was a child, my brother and I crawled under my grandmothers house. It was just another adventure for a couple of boys, but by the time we had crawled back out, we were filthy; even our faces were black with the dirt we had crawled around in. Well.my Mom began chewing us out, but our grandmother came to our rescue with an old Southern adage. She told my Mom; "Leave the boys alone. They have to eat a Peck of dirt before they die." t didn't make a lot of sense to me but it saved us from whipping. Now, as I see more and more families isolating themselves and their children from the outside world, I wonder if this lack of contact with the variety of bacteria in nature might not be the cause of there being so many children with allergies and even other diseases? I agree, Faith - it is exciting news! Thank you so much for the comment, the votes and the shares. Blessings and best wishes to you, too. This is exciting news here! We certainly do need new antibiotics no doubt about it and now there is hope through soil; how fascinating. You are always educating us with such interesting topics. I'm so glad that your cat has beaten the infection, Flourish. It's horrible when a pet that we love is so ill. The fact that he was fighting the infection for over a year is scary! Thank you very much for the comment. Fascinating. The need for new antibiotics affects us all. I have a cat who struggled for well over a year with a MSRA-related infection that nearly killed him. I took him to vet specialists and spent a small fortune on him and he was just declared MSRA-free a few weeks ago. (Yay!) The need for new antibiotics is urgent, and wherever they can find them, I'm in support. Great hub, and I find it interesting that the scientist is asking for soil samples. Thank you very much, Martie. I always appreciate your visits! Hi, Bill. I doubt that I'll be writing many cake recipes! Thank you very much for the comment. I appreciate it, as always. Hi, Lee. Yes, healthy soil plays a very important role in our lives. We need to think more about the way we treat it! Thank you very much for the comment. Well, it's not a new cake recipe, but it was still interesting. LOL I'm joking of course. Fascinating information, my friend, and so interesting. Thank you for writing a quality article. It really adds a new perspective to . "ashes to ashes, dust to dust" - healthy soil is the foundation of sustainable agriculture so it makes sense to learn that antibiotics develop in healthy soil. Thanks for this great article. Thanks for the comment and the vote, Devika. I suspect that many people don't give much thought to soil bacteria! Thank you very much for the comment, Jo. I appreciate your visit. This is very interesting information. 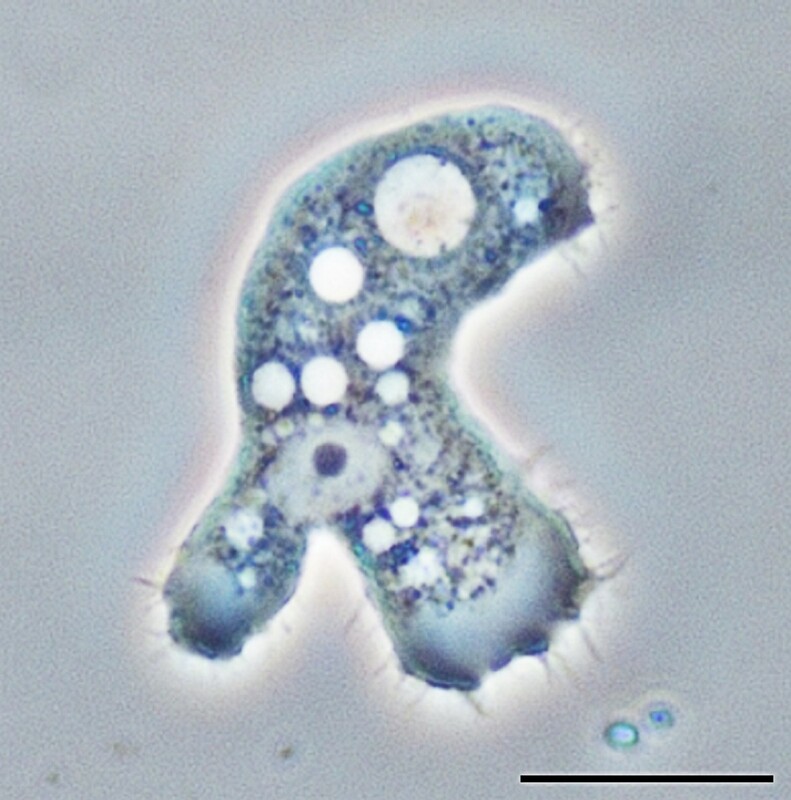 I did not give much thought to soil bacteria. You presented this hub to perfection. Voted up! Great hub, interesting and well presented with lots of important information. Well done.